Welcome to the most comprehensive listing service. Get Listed. Get Featured. Get a Free Website! Annual Listing ($299 Year) – BEST VALUE! BONUS! All members receive a FREE professional website (optional). 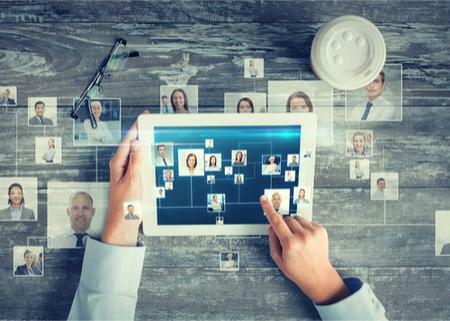 Once your profile is live, our geo-targeting technology instantly begins featuring your profile by location to members across our support groups – the largest mental health support community on the web with thousands of visitors each day. In addition, we actively place your location in keyword results for all major search engines including, Google, Yahoo, and Bing. Aggressive keyword campaigns drive consistent web-traffic to your professional listing. Finally, we post all new profile listings and therapist blogs on social network sites such as Twitter and Facebook. 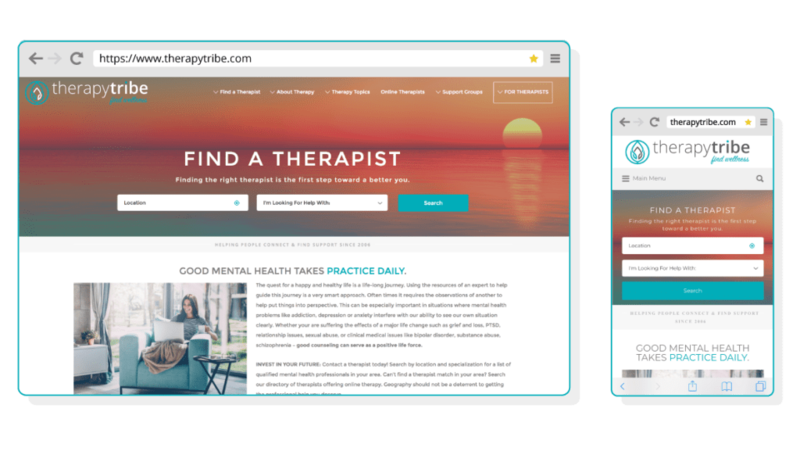 Did you know 70% of new patients are using the Internet to research and find their therapist. 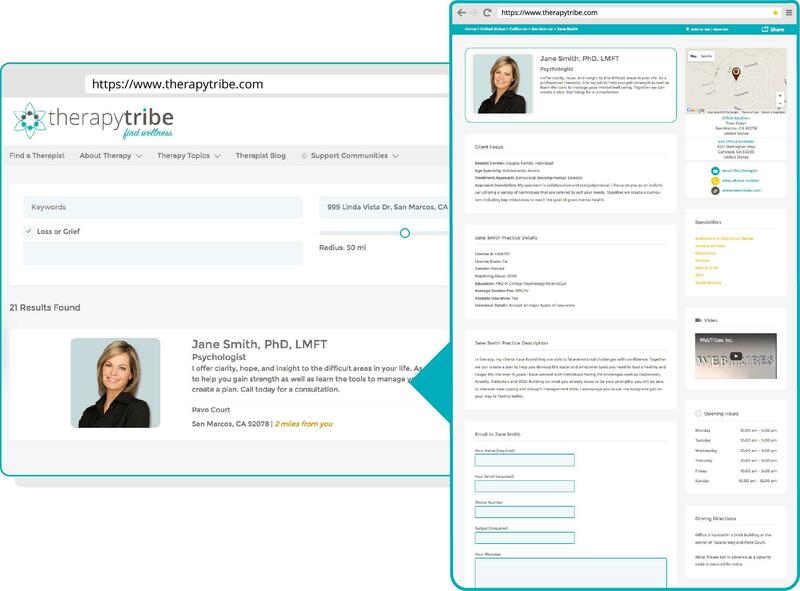 At TherapyTribe, we combine geo-targeted social networking with top search engine results to get your therapy practice noticed online. Beautifully designed, and ready to go. Easy DIY or hire a designer to do the work for you – only $99. 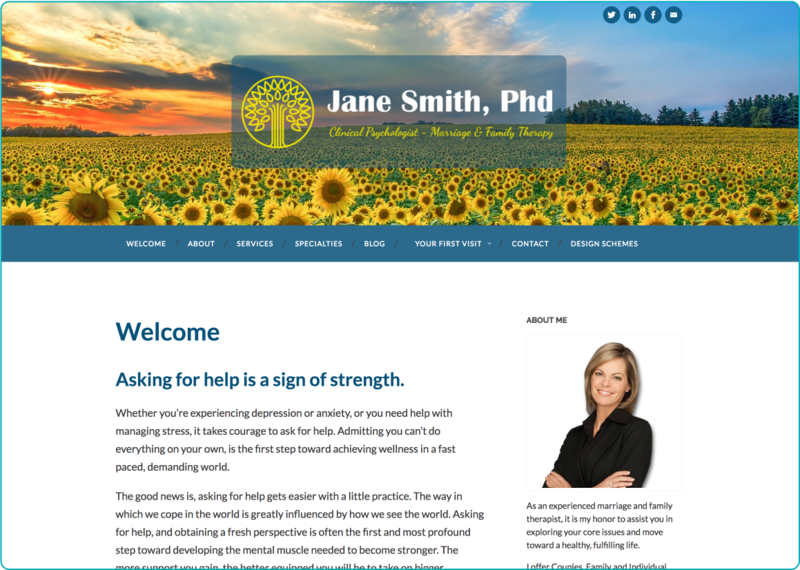 Learn more about our therapist websites.